What Is the Effective Way to Take Care of Dog’s Eyes? What Is the Effective Way to Take Care of Dog&apos;s Eyes? People generally focus on treating their dogs for fleas, ticks or worms but they often forget other aspects of keeping the dog disease free and healthy. You probably might be grooming your pet very well, bathing him regularly, removing the dirt from his paws, cleaning his ears and using supplements for improving his coat. But, have you ever really focused on your dog’s eyes? As in, not just adorably but attentively as well to check his eyes for any issues. Perhaps that is what you have been skipping for so long. Well, if you are under that category, you better watch out because dog’s eyes are quite prone to ailments like Cherry eye, Conjunctivitis, Glaucoma, Progressive Retinal Atrophy and many more. Apart from that, eyes are also susceptible to injuries because of which it is important to take care of them and prevent them from getting hurt or infected with diseases. Certain eye ailments also occur as a result of some underlying physical or functional illness thus they must be treated with proper medications. Here we have combined various steps to help you take care of your dog’s eyes in the correct way. Make sure you follow them diligently. Dogs don’t have the ability to clean the gunk deposited at the corners of their eyes on their own. This makes it easy for the bacteria and viruses to breed on that mucus-deposition and cause infection, if not removed regularly. Therefore, make sure you clean your dog’s eyes with a damp cotton swab properly every alternate day. Use a cleaning solution that helps clear debris in the eyes and has antimicrobial properties. Also, do read the label for an isotonic formula which is gentle on eyes. Some breeds naturally have long hair on their face which makes them susceptible to an eye injury and irritation, as long hair can disrupt the vision. Therefore, make sure you trim those hairs near his eyes and always keep them short so he doesn’t land himself into trouble. However, be very careful while doing so and only use a round tipped scissors to perform the task. Take professional help if you don’t feel confident. Shampoos contain strong chemicals and can irritate your dog’s eyes, therefore, it is a must that you keep his eyes protected during his bathing time. Use a gentle shampoo or soap that won’t cause any itching or irritation in his eyes. However, it is still best to avoid any contact of shampoo or other solution with your dog’s eyes. Tear stains can serve as breeding ground for bacteria and thus may lead to various eye infections in dogs. Cleaning them regularly with a tear-stain remover will thus keep the area clean and bacteria free. Systemic fungal infections, canine hepatitis, Ehrliciosis, and leptospirosis are some common dog diseases that may cause Uveitis – an inflammation within an eye. When such ailments are not addressed on time, a dog may have to suffer from eye impairment in the long run as a side-effect. Thus, it is important for you as a pet parent to treat those diseases or rather prevent them from happening so they don’t correspond to eye allergies or irritations. Dogs generally enjoy peeping out while you drive, gazing at the humans passing by, finding amusement at the changing sites…but this can be really harmful to your dog. Why? Because sticking head out not only leads to deposition of debris in his eyes that later cause irritation, but also increases the risk of getting injured. You never know what vehicle or unwanted object may hit your dog’s head. So, rather keep the window closed or get your dog some fancy doggles. Gazing your pet’s eyes is certainly adorable but make sure you also keep them checking regularly to keep a tab of his eye health. Pay regular visits to your vet because a vet will automatically check his eyes while examining the whole body. 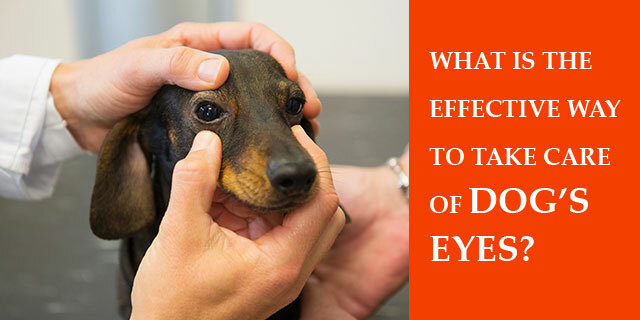 Eye health is extremely important in dogs just as it is for you. So, make sure you follow these steps religiously to let your dog see clearly and enjoy things for his complete life without any interruption. 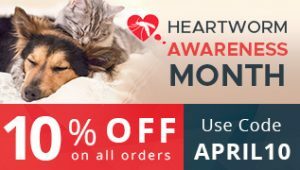 NEXT POST Next post: Should You Continue Using Heartworm Preventatives?